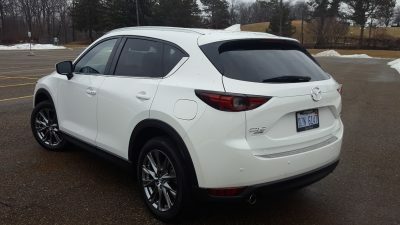 It’s no secret that Mazda’s CX-5 has emerged as a very key player for the Japanese car maker for the past several years. 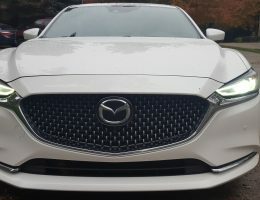 Once known for having a very car focused lineup over 10 years ago, Mazda has been very quick to embrace the recent shift towards CUV and SUV entries, with the CX-3 and the CX-9 being just two examples of how the Hiroshima based company has responded to this abrupt shift in buyer demand. 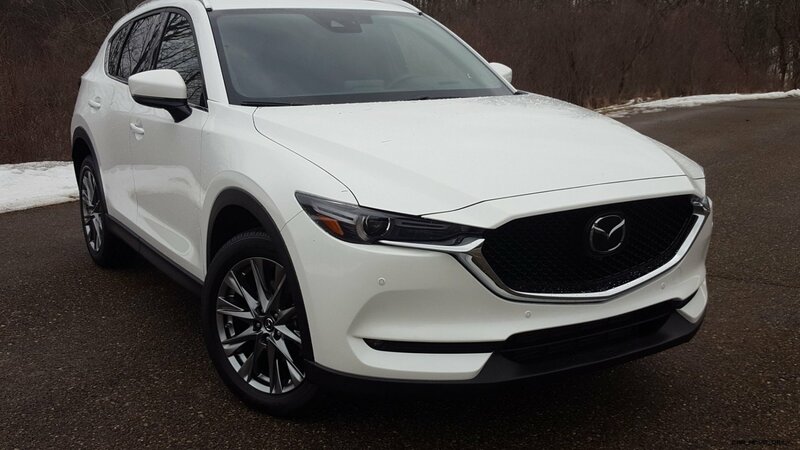 However, it is ultimately the CX-5 that has emerged as the key cog in Mazda’s plans to sharpen up its position in the utility segment. Boasting an enviable combination of style, luxury, and performance. 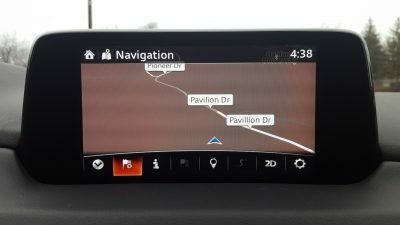 The CX-5 can certainly punch above its weight in many SUV related categories. 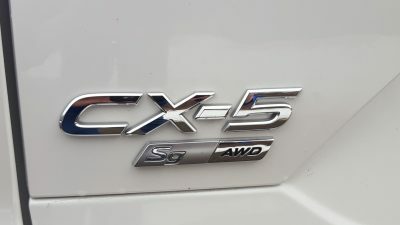 However, while the bulk of its competitors embraced the muscular punch offered by turbocharged four cylinder engines, the CX-5 soldiered on as one of the last naturally aspirated offerings left in the segment. 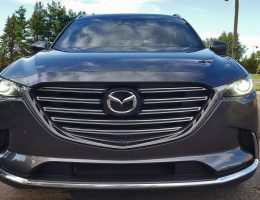 Mazda did not want to be left behind in the arms race, and has acted quickly to rectify this weakness. 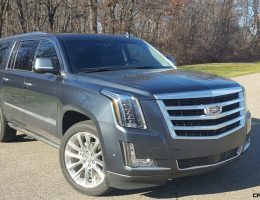 But can a turbocharged engine and other refinements translate into a better package? We were eager to find out. 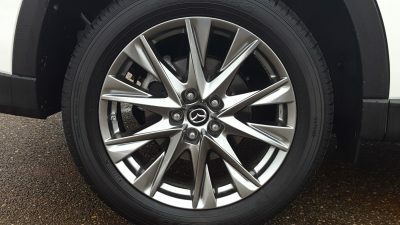 The exterior styling of our Snow Flake White Pearl Metallic hued Signature grade tester retains many of the crisp styling elements that have made the CX-5 a favorite visitor to the Car-Revs-Daily offices. 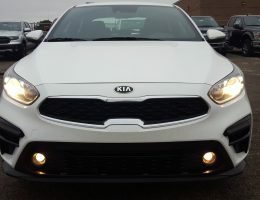 We adore the front grille, the sharp headlights, and the way the side profile nicely transitions to the stubby albeit bland rear end. 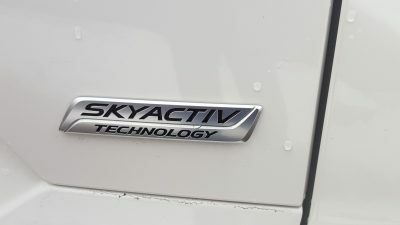 Signature models gain trim exclusive “SG” badging on the rear liftgate, but other than that minor change, it is business as usual for the rest of the CX-5’s exterior styling. 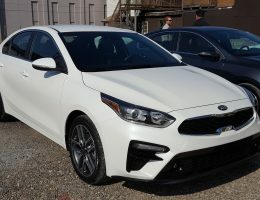 When compared to some of its rivals such as the Honda CR-V, Toyota RAV4, and even the Ford Edge. 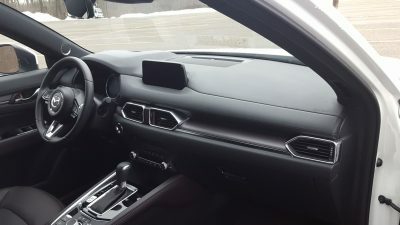 The CX-5 has a decidedly more upscale look, and its attempts at being a more premium offering may please buyers that want to stand out from the crowd, but still be able to play in the same pricing bracket that its fore-mentioned counterparts duke it out in. 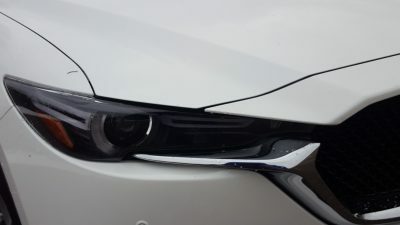 As mentioned in a few of our other encounters with various iterations of CX-5 we recommend embracing darker hues especially Black, Blue, and the ever lustful Soul Red Metallic that does a great job standing out when the sunlight hits it at just the right angle. 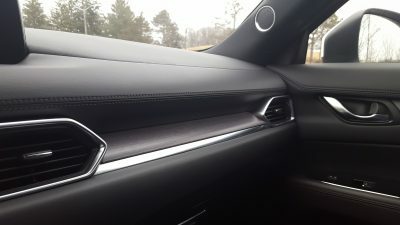 While the exterior styling may have cruised into 2019 without any major changes, it’s under the sleek skin where the bulk of the CX-5’s 2019 updates make themselves known and apparent. 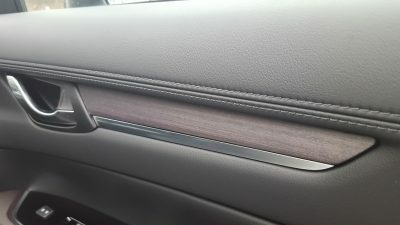 Signature models like our tester for example, leave no stone unturned when it comes to coddling their occupants in luxury with real layered wood trim, nappa leather trim, and newly available heated AND ventilated front seats all part of the package. 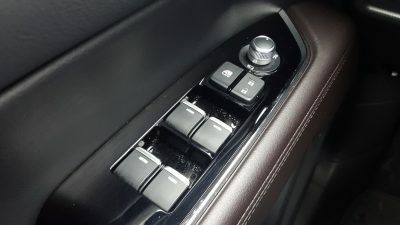 These extras work nicely with many of the existing design elements, and they all help bring an extra spark into the CX-5’s impeccable interior presentation. 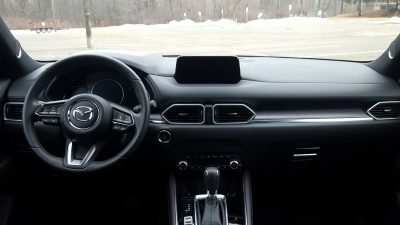 Other features include a 360 degree rear backup camera, rear parking sensors, ambient lighting, and even a frameless rear view mirror. 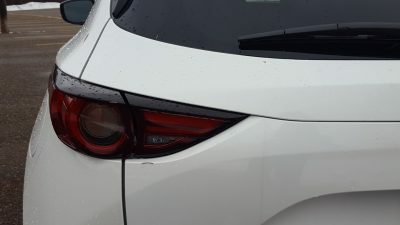 Visibility is good for the most part, though the rear pillars do produce some minor blind spots that make themselves apparent during parking. 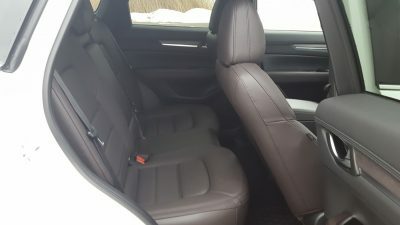 But its easy to forget about all that when you take a formal moment to embrace the balanced levels of comfort and support that the butter smooth seats provide to occupants. 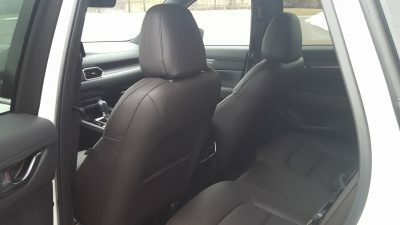 The second row is a bit tighter, but the seats do help make things very comfortable back there, and the sunroof does add ample amounts of light into the cabin, especially on sunny days. 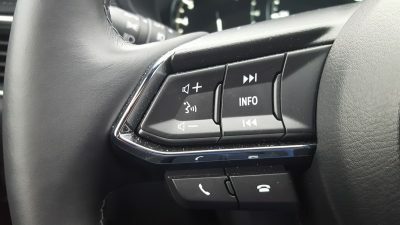 With all the good things that the cabin provides, it’s a real pity that the one major gripe we had with the cabin was the rather clumsy infotainment system. 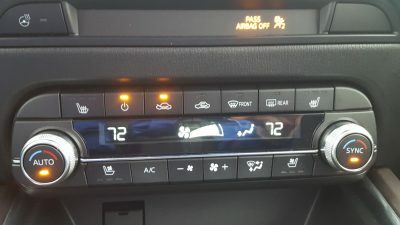 While we are fans of the control dial, the small screen, cramped icons, and the dated looking background do cause the system to look somewhat dated when compared to rival systems like Ford’s SYNC, Toyota’s Entune system, and GM’s MyLink system. 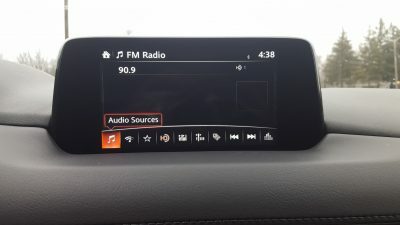 Thankfully, the system now comes with Apple CarPlay and Android Auto capability which happily fixes another glaring flaw that did not endear it well with tech savvy younger buyers that wanted to get the most out of their mobile devices. Arguably the biggest change many new buyers will notice is what lurks under the hood. 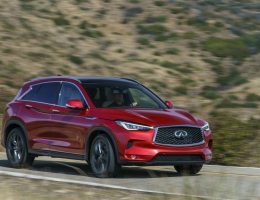 The naturally aspirated 2.5 liter four cylinder has been pitched in higher CX-5 trims, and instead a brand new turbocharged 2.5 liter four cylinder was transplanted in. With 250 horsepower and 310 lb-ft of torque, the new engine breathes new life into the driving experience, and the CX-5 can at long last be used to its full performance potential. 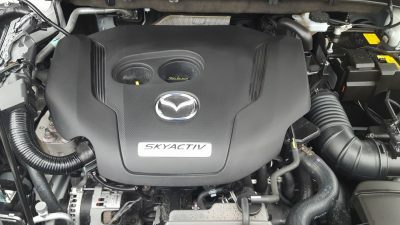 While we have had prior encounters with this engine in the Mazda 6 and CX-9 Signature, in our view, the CX-5 is ultimately the perfect package for this engine. 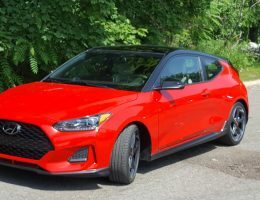 Wheras the naturally aspirated engine sounded coarse and did not have good low and mid-range punch, the turbocharged engine manages to correct alot of these flaws. 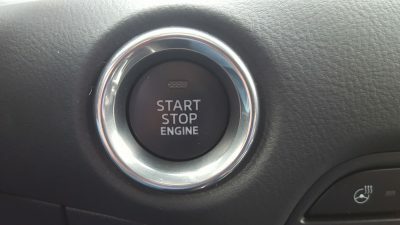 This is not an engine that will throw its occupants firmly back in their seats, but rather, it is an engine that makes the experience feel effortless and easy to achieve. Our tester managed to make the sprint to 60 mph in a brisk 6.2 seconds. 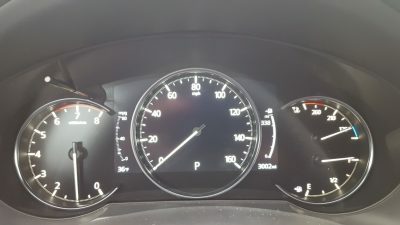 To help maximize its acceleration manners, Mazda engineers tuned the six-speed automatic to upshift at 5,300 rpm which is a 1,000 revs short of redline, but it makes up for the boost’s abrupt exit in the upper reaches of the rev band. 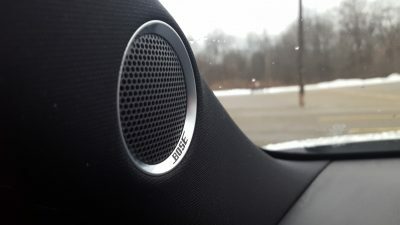 The engine lacks the soundtrack that we have come to enjoy in more sporting fare, but the strong sea of torque in the lower reaches of the rev band does make the engine special in its own unique way. 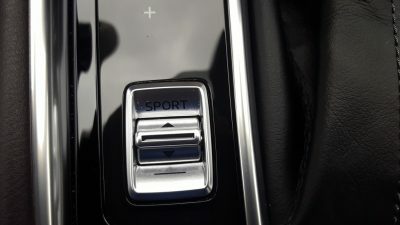 The six speed automatic does a good job of always being in the right gear, and it manages to do crisp rev matched downshifts when it is placed into Sport mode. 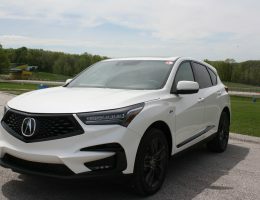 The lone caveat for all of this boost is that fuel economy does suffer somewhat with our tester getting 2 to 3 mpg less than CX-5s with the weaker naturally aspirated 2.5 liter engine. 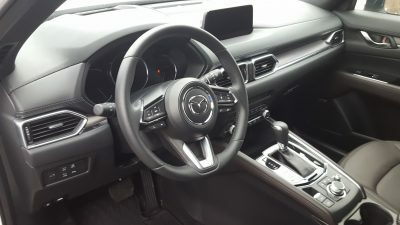 While this might put off more green minded buyers, we expect the majority of them to give the Mazda a free pass in this regard, especially once they become better acquainted with the smooth moves offered by the turbocharged engine. Ditto the chassis, which still manages to retain the high degree of fluidity and communication that has allowed the CX-5 to do a very good impression of a sports car. 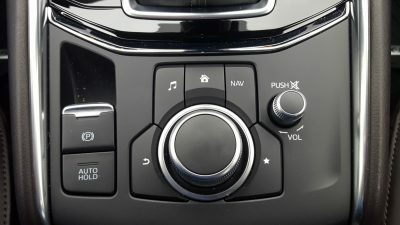 Drivers can take solace knowing that the spirited handling is paired with a compliant tune for the dampers that still delivers a relatively smooth ride over most terrain. 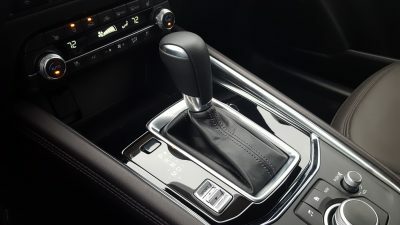 The steering in our tester delivered excellent levels of feedback, and it is certainly an improvement over rivals that tend to offer a more muted, less involving experience from their electric steering racks. 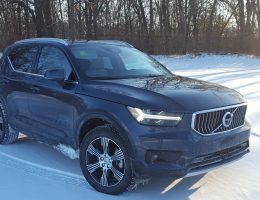 Braking in our tester was also very stable, with the CX-5 exhibiting minimal amounts of nose dive and the pedal delivering a resolute feel to the drivers foot when it comes time to bring this fun SUV to a stop. 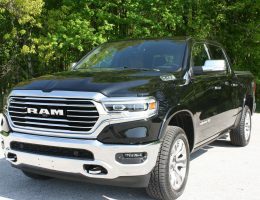 With all of this refinement and performance, it’s only fitting that the pricing ladder for 2019 has creeped closer into premium SUV territory. 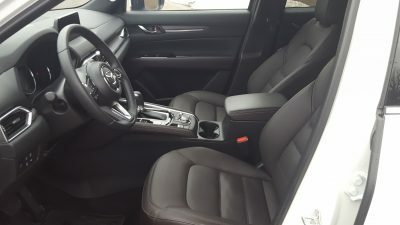 Buyers looking to add the turbocharged engine to their CX-5 will not be able to add it to the first three trims in the CX-5 lineup (Sport, Reserve, and Grand Touring) and instead begin their journey at the $34,870 Grand Touring Reserve model. 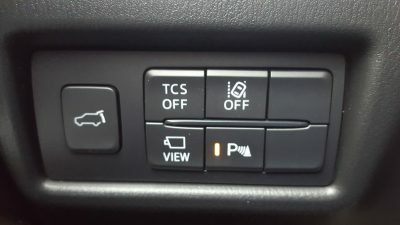 All-wheel drive is also a mandatory selection for living the turbocharged life, with Mazda having no plans to offer a front-wheel drive turbocharged version anytime soon. 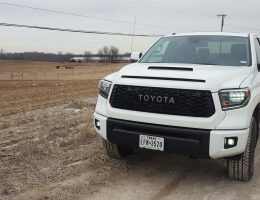 Our tester had a base price of $36,890, with the light selection of options (including the $995 destination fee) pushing the final sticker to $39,455. 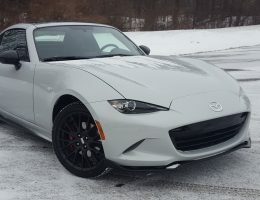 This pricing puts the Signature at just under $40,000 and it also highlights our desire to see the turbocharged engine being offered below the Grand Touring Reserve trim perhaps as a special version of the Sport model to help channel some of the magic offered by Club versions of its two door stablemate the MX-5. 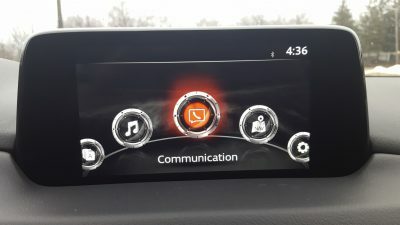 But while the pricing is indeed closer to the territory occupied by more formal premium SUVs, it’s hard to ignore the fact that the 2019 Mazda CX-5 (in any guise) is still a very potent SUV entry that manages to feel premium and upscale in all the right areas. 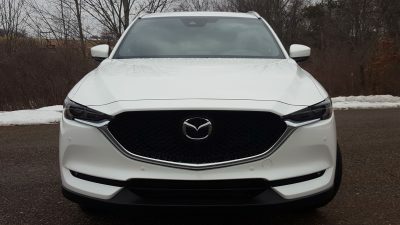 With the addition of the all new turbocharged engine, the CX-5 finally has the goods to be a true all rounder, and can certainly hold its own against turbocharged rivals from Ford, Hyundai, and Chevrolet. 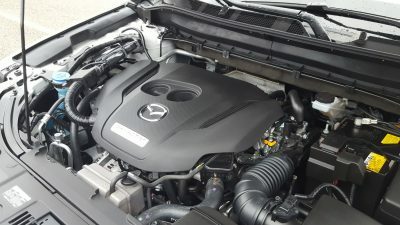 We look forward to seeing what else Mazda is in store for the CX-5, especially if they decide to add the turbocharged engine to a more performance hardened variant.